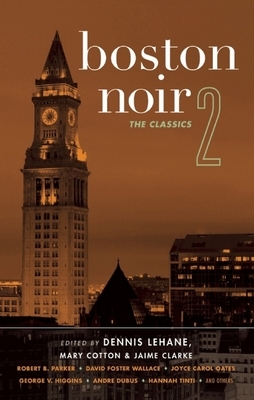 "Boston Noir 2: The Classics is a thorough representation of what noir has been, is, and continues to become . . . The shadows over Boston are those of Bogart, leaning into the spotlight with that complexity of soul, that derisive navigation of morality and deviance. . . The shadows on this cover prepare the tone, that these thin darknesses can be willed into corruption with little effort, and the reader will learn the ease of giving into it." Dennis Lehane is the author of the Patrick Kenzie and Angela Gennaro mystery series (A Drink Before the War; Darkness, Take My Hand; Sacred; Gone, Baby, Gone; Prayers for Rain; and Moonlight Mile), as well as Coronado (five stories and a play) and the award-winning novels Mystic River, Shutter Island, and The Given Day. Mystic River, Shutter Island, and Gone, Baby, Gone have been made into award-winning films. In 2009 he edited the best-selling anthology Boston Noir for Akashic Books.Mary Cotton is the pseudonymous author of nine novels for young adults, six of them New York Times bestsellers. She is also a fiction editor for the literary magazine Post Road, and is coeditor of No Near Exit: Writers Select Their Favorite Work from Post Road. She is co-owner of Newtonville Books in Boston, Massachusetts.Jaime Clarke is the author of the novel We're So Famous, editor of Don't You Forget About Me: Contemporary Writers on the Films of John Hughes, and Conversations with Jonathan Lethem, and coeditor of No Near Exit: Writers Select Their Favorite Work from Post Road. He is a founding editor of Post Road and has taught creative writing at University of Massachusetts, Boston, and Emerson College. He is co-owner of Newtonville Books in Boston, Massachusetts.